In this episode of “Surviving to Thriving: Overcoming My Darkest Moment,” I talk with Holistic Life coach Elli Richter who helps people feel, heal and deal so they can live a fulfilled, healthy and successful life. In her mid-30s, Elli thought life’s hurdles were behind her: an eating disorder, self-sabotage and overall self-destruction. But when her husband of 12 years told her he had been unfaithful for 10 of those years, her world collapsed. Married at 23, he was her everything. Elli had to learn not only how to be on her own, but how to be an emotionally supportive friend to herself. She discovered the importance of a holistic support system with coaching plus reiki, acupuncture, sound baths and other physiological means to calm the nervous system. Now Elli coaches her clients in person, or via phone, and also offers yoga classes, groups, mini retreats, moon rituals, sound bath meditations and movement classes to support people in the manifestation of their dreams. 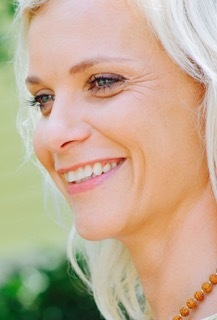 She holds two college degrees in Physiotherapy, and Health Education, is Ayurveda and Reiki certified, and uses a holistic and proactive approach to help her clients live a downstream life by design. She lives in beautiful downtown Charleston, and spends part of the year in her home country of Germany. Learn more about Elli at www.ellirichter.com.